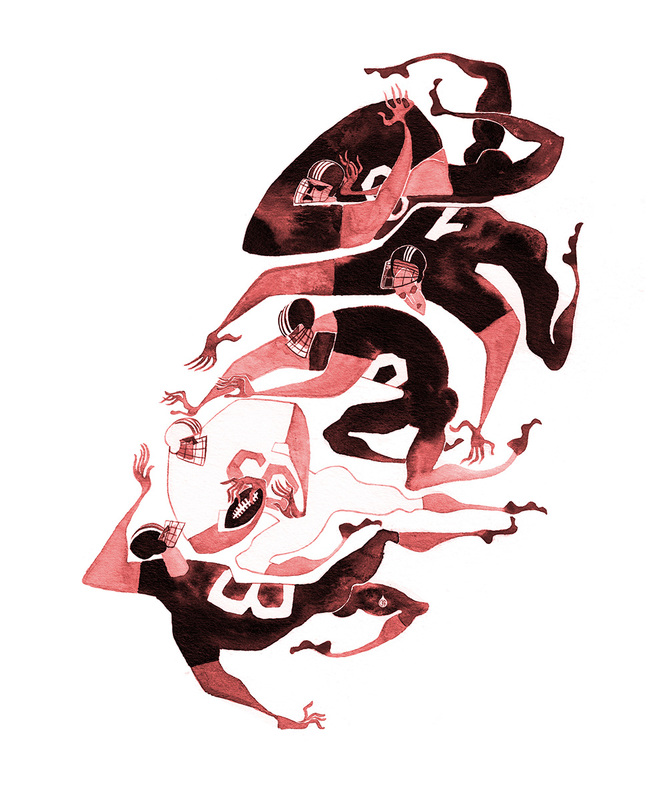 “I think human bodies look best when in motion,” says Illustrator Jianrong Lin, (’16), of “Momentum,” his series of athletes in the heat of competition. Lin’s exquisite work evokes images depicted on ancient Greek urns. “What men or gods are these?” one might be inspired to ask, as the poet John Keats did of the “mad pursuit” of gods and maidens. 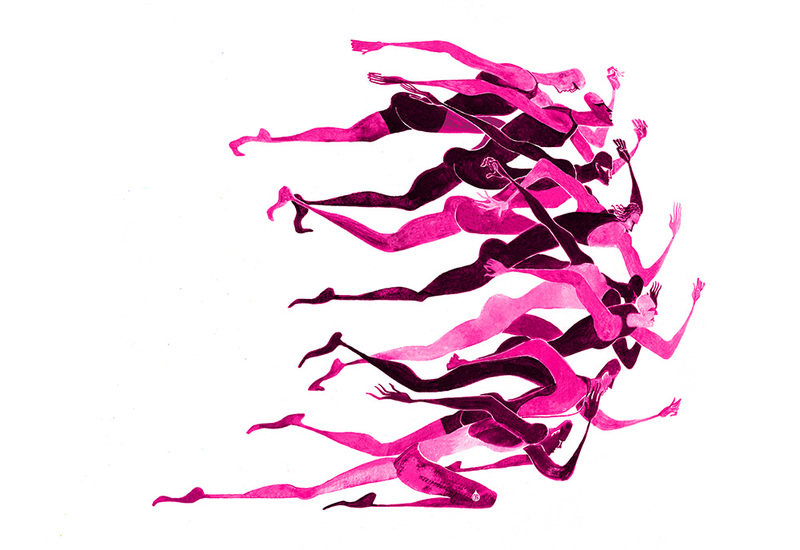 “I used different body forms to convey power, speed, and flexibility. I made this composition [above] in an arc form to emphasize the speed and momentum of the athletes. Perhaps this is the moment right after the runners take off,” says Lin. Since graduating Lin has created posters and medical illustrations for the pharmaceutical company Merck, a storyboard for an AT&T campaign and a restaurant mural. 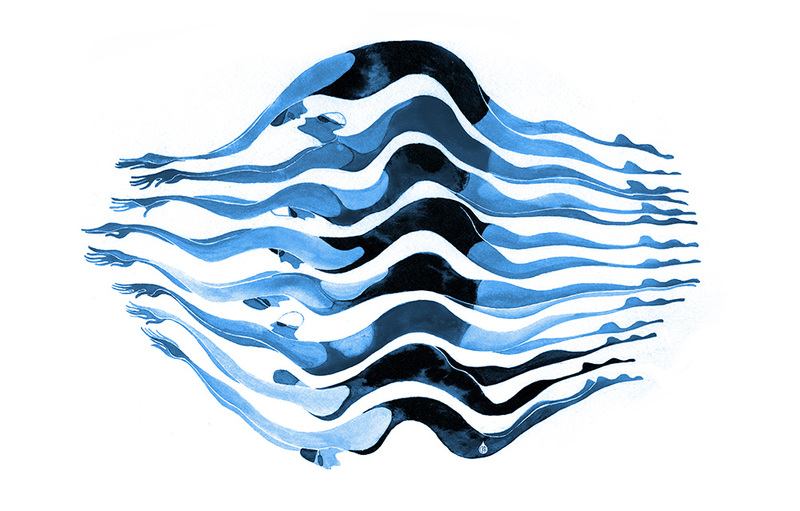 And more good news: one of his illustrations was accepted into this year’s Society of Illustrator’s Annual Student Show. “These swimmers [above] would have just plunged into the water. To charge forward, they turn their bodies into waves,” says Lin. “When I think of football, what comes to mind are strength, physical contacts, and how the players can be piled up in weird ways,” says Lin. “What I learned from the illustration program is a combination of so many things. It can be a technique I learned in a life drawing class, or ways to observe the object I want to draw. It’s even some words a professor said to me that stuck in my head,” he says. 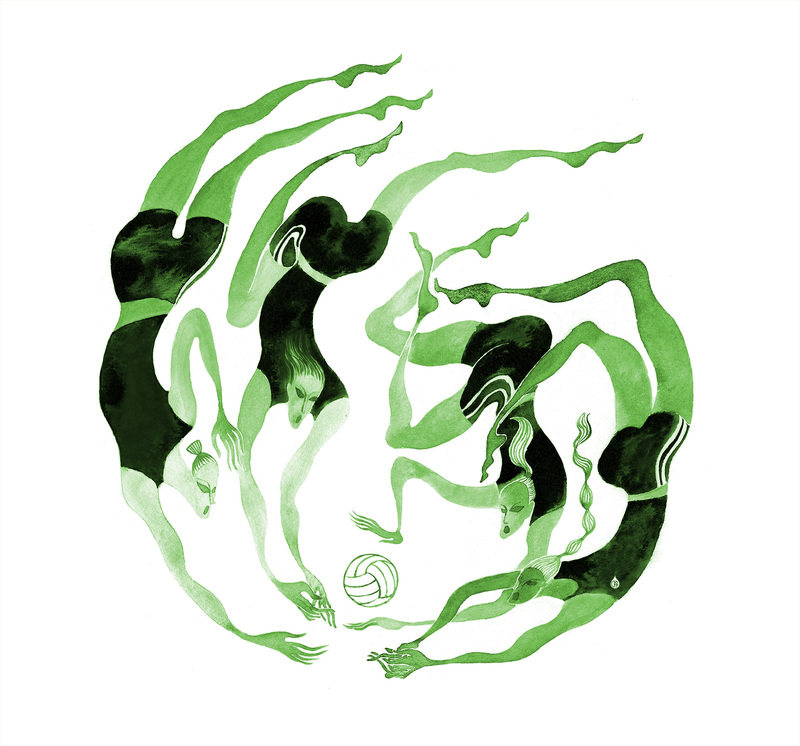 “Volleyball players will do everything to save the ball. I’m always fascinated by how they’re willing to get on the floor,” says Lin. Meanwhile, “Yoga is all about flexibility and mindfulness, so I tried to keep the figures simple and soft, almost feather-like. 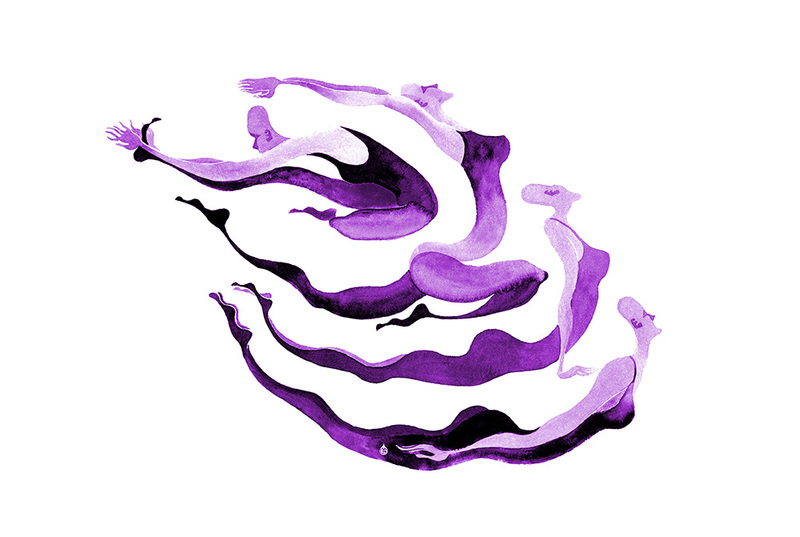 The composition [below] was inspired by cabbages — You know when you cut those purple cabbages in half and discover the wonderful patterns!” says Lin. This entry was posted in student work and tagged AT&T, Bil Donovan, Ed Soyka, Jianrong Lin, Merck, Society of Illustrators. Bookmark the permalink.